Well, here comes the confirmation from Xiaomi. The much-anticipated Mi Band 3 will be launched on May 31 alongside the flagship Xiaomi Mi 8 smartphone and new iteration MIUI 10. Wang Xiang, Senior Vice President at Xiaomi, posted this news on Twitter. 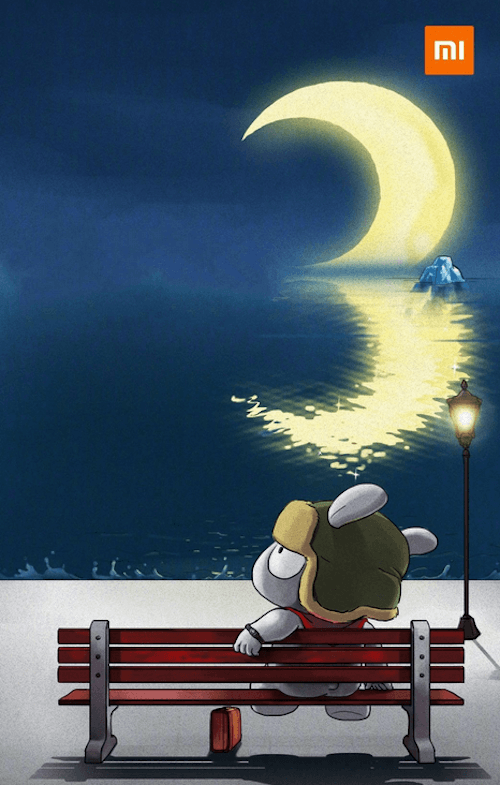 Also, he posted a teaser image in which the Mi Bunny is sitting on a bench and looking at the moon, which is also reflective in the water, making it visible as ‘3’. That said, the image did not have any images of the Mi Band 3 though. The Mi Band 3 is a long overdue product from Xiaomi since the OLED display touting Mi Band 2 was launched way back in 2016. As per the leaked information, the Mi Band 3 will retain the same design language as the Mi Band 2 along with the same detachable procedure from the strap. A manual leak of the Mi Band 3 very recently showed the charging cable would also remain the same, but the tracker itself will receive major upgrades over the Mi Band 2. Firstly, it will have the OLED display on the front, but it’s uncertain at the moment whether Xiaomi has increased its size or not. A leaked image pointed out that Xiaomi will be retaining the button on the tracker, which will allow users browse through various information such as steps count, calories, heart rate measurement and so on. Of course, the Mi Band 3 will also work with the Mi Fit application that’s available for both Android and iOS devices. The Mi Band 3 has also been certified by Bluetooth agency, and it’s also expected to arrive with NFC chip for payments. However, this feature could be limited to just the Chinese market. There will be the heart rate sensor like the Mi Band 2, but this time around, the sensor might be a 24/7 monitoring one, not the on-demand one as seen on its predecessor. Xiaomi might also retain the water-resistant properties. Xiaomi has managed to sell millions of Mi Band and Mi Band 2 units, thanks to their incredible battery life and affordable price tags. The same might continue with the Mi Band 3 too. Xiaomi India will bring the Mi Band 3 to the sub-continent since both the Mi Band and Mi Band 2 were launched at affordable prices.